The Kansas City Collection V features 83 works of art including drawing, painting, textiles, photography, ceramics, and sculpture by fifteen artists at different stages in their careers. The 2018-19 Collection will feature the work of Corey Antis, Miki Baird, Marcus Cain, Rain Harris, Jessica Heikes, Tonia Indigo Hughes, Glyneisha Johnson, Kathy Liao, Marie Bannerot McInerney, Desiree Morales, Dylan Mortimer, Miguel Rivera, Hyeyoung Shin, William Toney and Casey Whittier. The diverse group of artists represented in this Collection was selected from 125 nominations compiled by a committee composed of distinguished local artists, curators, and art professionals. A separate, independent curatorial committee met for a rigorous review of the artists’ work in order to arrive at the fifteen who are represented in this cohort. All artists participating in the program gain significant exposure on the wall, online and in print, and are provided the opportunity to build relationships with participating companies, their employees and customers. A seventy page museum-quality catalogue and professional website features the work in the collection, biographies of the artists, as well as commissioned essays written by Kansas City area art writers. One of the greatest differentiating features of this collection is guaranteed sales for the artists, which is unique among art + business collaboration entities in the region. Through this program, participating businesses have purchased more than $550,000.00 in artwork from Kansas City area artists in the first four Kansas City Collections, marking a tangible investment in the vibrant arts economy. The Collectors Fund will unveil The Kansas City Collection V with a reception and temporary exhibition featuring artwork by each of the fifteen participating artists and the release of Kansas City Collection V catalogue, at the global architecture design practice Populous, 4800 Main St. Ste. 300, on Thursday, July 12 from 6 to 8pm. 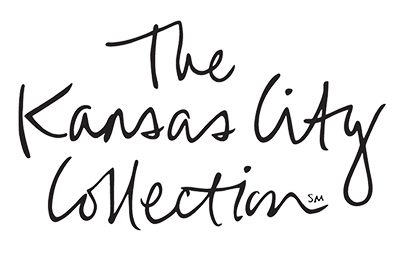 The Kansas City Collection is managed and coordinated by The Collectors Fund (TCF). TCF was founded by Alexander "Sandy" Kemper, Will Conner and Christine Kemper in 2006. In addition to creating and managing The Kansas City Collection program, TCF is the management company for the American Masters Collection I and Twentieth Century Masters Collection, two art ownership and investment funds for over 100 member families and businesses across the United States.